Each year, the American Horticultural Therapy Association (AHTA) coordinates the efforts of regional networking groups, affiliated horticultural therapy programs, and AHTA members to collaborate in celebrating the profession on a national and local level. By hosting a variety of special events or activities, we're able to collectively elevate recognition and appreciation for our programs and our profession. Co-sponsored by the NYBG Adult Education Program - Horticultural Therapy Training Program and Mid-Atlantic Horticultural Therapy Network. Presenters brought six slides of their available internship sites (or experiences) and gave a 5 - 7 minute talk. It was a joyful celebration of all things HT, with several tabletop displays (MATN, mine and another MATN Board Member's). with lots of opportunity for networking before and after the presentations. Hands that mix more than mud pies! 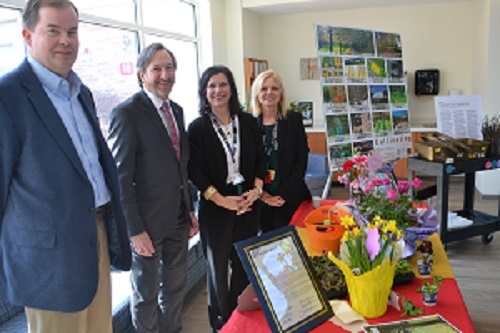 Somerset County Freeholder Director Brian Levine, second from left, was at Hackensack Meridian Health Carrier Clinic on Thursday to declare the week of March 17-23 as Horticultural Therapy Week in Somerset County. Joining him, from left, were Brian J. Schilling, Ph.D., senior associate director, NJ Agricultural Experiment Station, and director, Rutgers Cooperative Extension; Laura DePrado, registered horticultural therapist, and Susan Leight, director of Carrier Clinic’s Adult Psychiatric and Addiction unit. 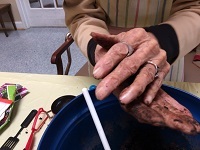 Carrier Clinic sponsors an active horticultural therapy program that is overseen by DePrado in support of its patients. 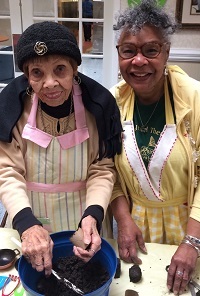 Levine noted that horticultural therapy is a time-proven practice with therapeutic benefits and, because spring officially begins with the vernal equinox on March 20, this “is an ideal time to focus our energies on the therapeutic benefits of garden environments." North Carolina Governor Roy Cooper signed the proclamation recognizing March 18-24, 2018 as Horticultural Therapy Week. 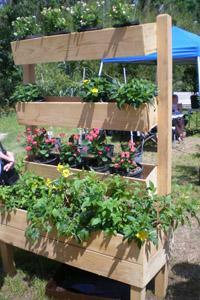 New Jersey passed a bill making the third week of March National Horticultural Therapy Week. 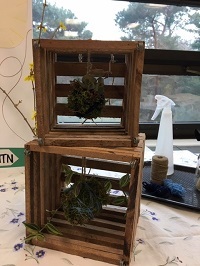 Horticultural and music therapists from Earthtones NW created a display promoting horticultural therapy and AHTA. 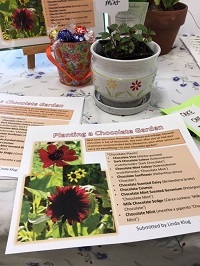 Horticultural Therapist Laura DePrado facilitated an educational horticultural therapy workshop for employees who engaged with plant materials while creating hands-on projects with purpose and meaning. Officially opened and dedicated a third horticultural therapy greenhouse during National Horticultural Therapy Week. 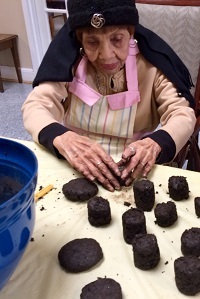 The PRS (persons receiving services) at Belmont Hospital Northeast created "seed bomb" packages to giveaway. The “seed bombs” were placed in spots throughout the facility for patrons to pick up and take with them with instructions to throw the bomb on neglected land throughout Philadelphia. By hosting a variety of special events or activities, we're able to collectively elevate recognition and appreciation for our programs and our profession. 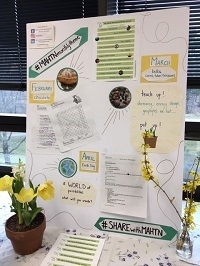 This spring, set aside time to refocus, refresh, and reconnect with your wonderful horticultural therapy colleagues and worthy professional ideals. Let us know how you celebrated National Horticultural Therapy Week by emailing [email protected].